I have been very pleased with my orders from Lucky Gunner. It has been easy to order products and delivery has been timely. Overall, I have been very pleased with the entire process. I will be ordering again in the near future. Who says a 30-30 is obsolete? 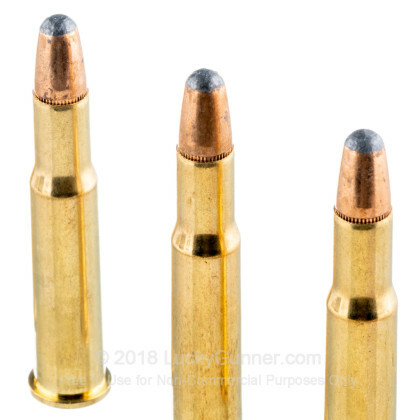 One of these 170 grain bullets through the bread basket will kill cleanly without excessively destroying meat. 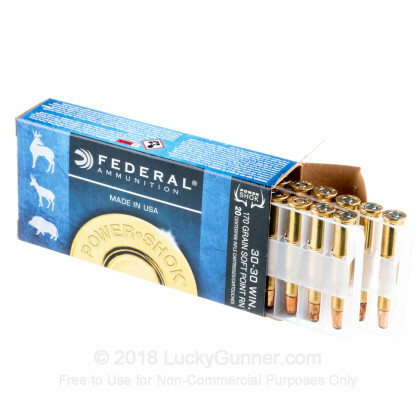 I find Federal ammo in general to be the best priced and the most accurate ammo in most of my deer caliber (243-30-06) rifles. Thanks Federal for a great product! The ammo arrived quickly and was top quality. This stuff is impossible to get in California. 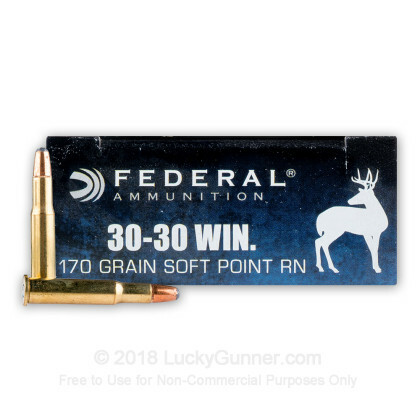 Classic 30-30 ammo and a mid/late deer season purchase. My Marlin 336 seems to like Federal ammo over other brands. Price was OK; not a great deal by any means, especially after adding on shipping cost, but it was available and arrived quickly. 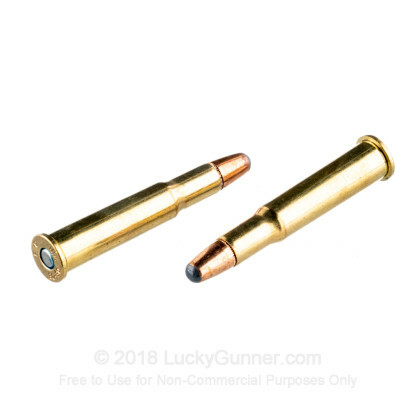 I am a return buyer and definitely recommend LuckyGunner. The ammo was exactly as I had thought, well made, no mis-fires, and actually slender and sleek like a peice of art. 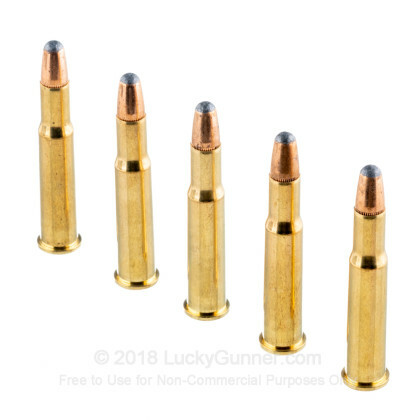 I searched the web and finally found a good price for some well made ammunition @ Luckygunner.com. Thanks, and "I'll be back!!!" Good will be buying more . 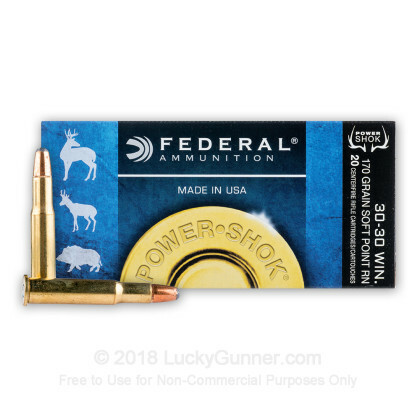 We also have this 30-30 - 170 Grain SP Round Nose- Federal Power-Shok - 200 Rounds ammo in stock in a bigger quantity.